It’s been about five months since I am using a new skin product by Olivera Cosmetic’s. 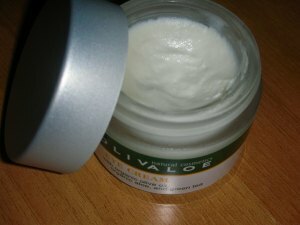 Olivera Cosmetics is a greek brand of natural cosmetics that uses organic olive oil and organic aloe vera. 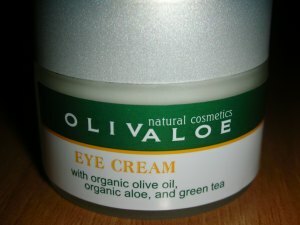 I tried the OLIVALOE Eye Cream. Just from the name we can imagine the ingredients: organic olive oil, organic aloe vera and also green tea, proprieties that nourish the eye area. Plus, it contains chamomile, provitamin B5, calendula and vitamin E and other ingredients that reduce bags, nourish and revitalize the delicate area around eyes and leave the skin smooth and bright. This eye cream has also anti-ageing proprieties and that make it perfect for every age. It does not contain mineral oils, silicone, Vaseline, parabens and propolyne glycol. Olivera Cosmetics loves us but also loves animals. So, no test on animals! The cream is dense and rich. 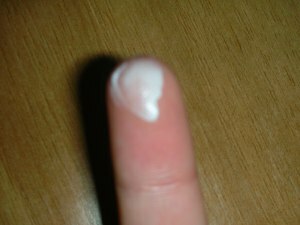 So when I take the product with my finger, I can get a small amount that is enough for the area of one eye. I think that’s cool because I do not apply more product or I do not throw away any product. That means that my eye cream will last for longer. 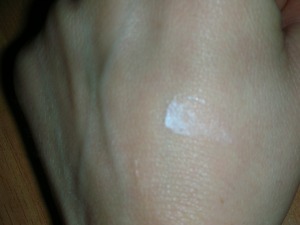 The first time I applied the cream I thought it would be heavy and oily. But it is not! It really nourishes and hydrates my eye zone! The results last for all day long and not only you feel it but you can see it as well! I got to say that the area around my eyes is really delicate and gets dry. Since I use this cream is well hydrated and so soft(more that before). I was really surprised when I saw results after 3 days!!! That was fast! After 5 months that I am using it, I find this eye cream FANTASTIC! Τhe perfume is not anything special. It is really discrete and soft. Just from the perfume you can understand that it is a natural product. That’s not bad at all. The cream is in a vase made of glass. You will receive it in a little box as seen in the photos. Really cute packaging! It contains 40 ml of product and it expires 12 months after you open it. It costs €15, and I think that is a really good price for the quality of the product. You can buy it at Olivera’s Cosmetics site. 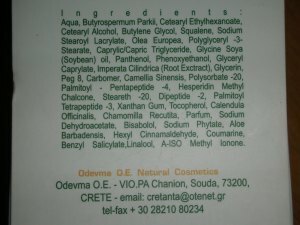 I am really proud because this product is MADE IN GREECE! I am proud when Greeks do such a good job and can be really competitive not only in their country but also all around the world. Olivera Cosmetics offers a high quality and can be really competitive with international brands! Now I want to try the body milk and hand cream, too. Are you curious to try Olivera’s products? Or you have already tried them? Let me know your opinion and what do you think!!! I would like to thank Mr. Manos Vouteris and Olivera Cosmetics that sent me this product to try it and test it. I express my personal and sincere opinion for this product. « How I organize my cosmetics! You got it as well? I just love this cream!!! 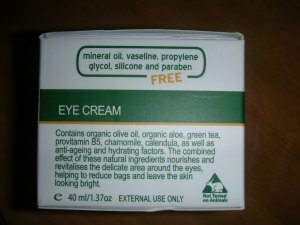 It's a really good eye cream for dry skin! And I was amazed by how much quantinty you get!